While Yerevan is preparing for the May 5 municipal election, oppositional forces once again talk about inflated voter lists. Chief of Visa and Passport Department of the RA Police counters that the population census at the state registry is carried out exclusively as provided for by the Election Code. During a Monday meeting of Prosperous Armenia Party (PAP) with voters at Arabkir community, PAP MP Naira Zohrabyan stated that they had received numerous alerts, claiming that “residents of provinces have been brought and registered at the basements of various supermarkets belonging to oligarch-MPs”. “A while ago we received a call from Ajapnyak district, warning that 8,000 Aparan residents were taken to and registered at Ajapnyak, who on May 5 have to come and vote as Yerevan residents. Each house has 40-50 people registered from provinces,” Zohrabyan told the potential electorate. 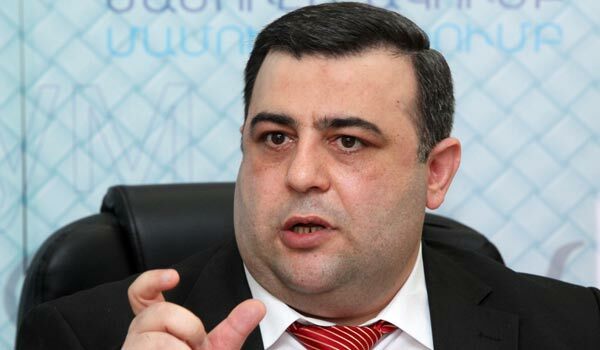 Arman Musinyan, third on oppositional Armenian National Congress’s party list, said earlier that more than 1,000 citizens were identified in the lists who were not registered in Yerevan during the February 18 ballot of 2013, but in provinces, and will now participate in Yerevan city council election. Chief of Visa and Passport Department Hovhannes Kocharyan, during his Tuesday meeting with the press countered that recently more names have been taken out of the lists then added. “The number of voters published on March 25 was 817,814, while the April 25 data said 816,739, meaning that the number of voters dropped by 1,075, conditioned by the growing number of people extracted from the count,” said Kocharyan, adding that as opposed to national elections, non-citizen residents of Yerevan have a right to participate in the municipal election, among them refugees, foreigners with special permanent residency status, and others. Currently, their number is 3,375. In reference to Zohrabyan’s statement Kocharyan said “that’s a lie” and urged not to believe such nonsense. “The police has done its best to make sure that the lists are not only trustworthy, but also clean; all the work has been done in accordance with the provisions of the Election Code; it is another issue that voter lists-related comments are voiced every now and then for political purposes,” says Kocharyan. The voter lists are available at the police’s official website.